The tweet below is getting a lot of attention today. 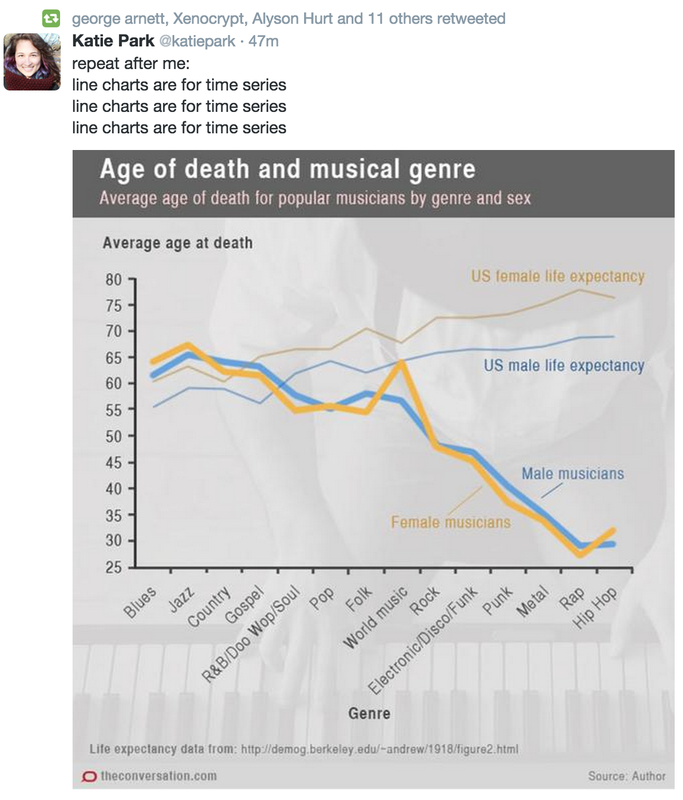 It's true, as Katie and others suggest in the discussion, that the chart can be better —why ordering the music genre that way, to begin with?— but line charts aren't just for time series data. This is a very common misconception; I still remember my Math middle school teacher telling me exactly that, back in the Pleistocene (ahem)! Time series charts are just one type of line chart. There are others. Parallel coordinate charts (read 1, 2, 3, 4, 5) can be tremendously effective to reveal patterns.